With Send Social Media’s robust user management features, flexible permission structures and approval workflows, you can focus on the content strategy and let Send Social Media take care of the rest! Assign time-sensitive tasks to other team members and departments. Spot a negative comment about your brand on social media? Assign this to the relevant person on your team for a rapid response. Approve content before it’s published on the social web. Send Social Media lets you create flexible workflows between clients and team members so that content can be signed off by the relevant person or department before being published. Create, share and maintain customer records with the team. Send Social Media’s Social CRM makes it easy to create customer records from social profiles. Add notes, comments and a conversation history for other team members to see. 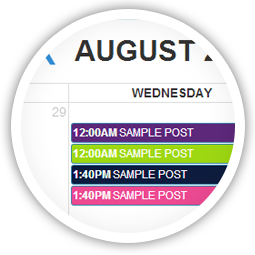 Use Send Social Media’s calendar to oversee your team’s scheduled messages. Our interactive team calendar gives you a comprehensive overview of publishing activity across your team. 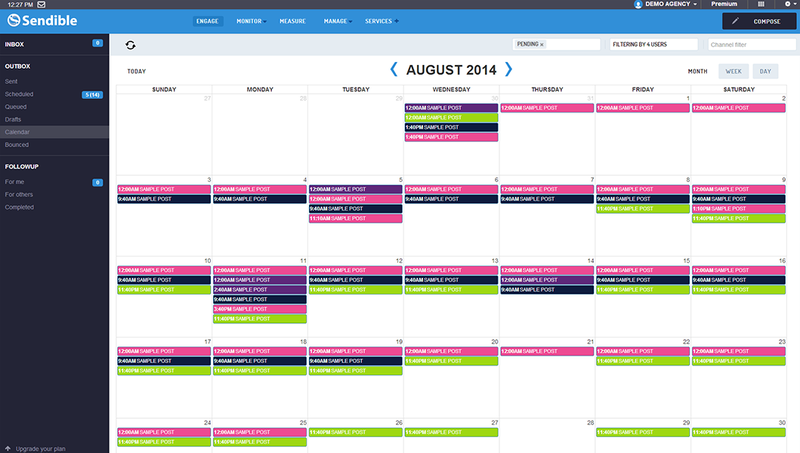 With drag-and-drop functionality, you can quickly and easily re-arrange and optimize your team’s content plan.